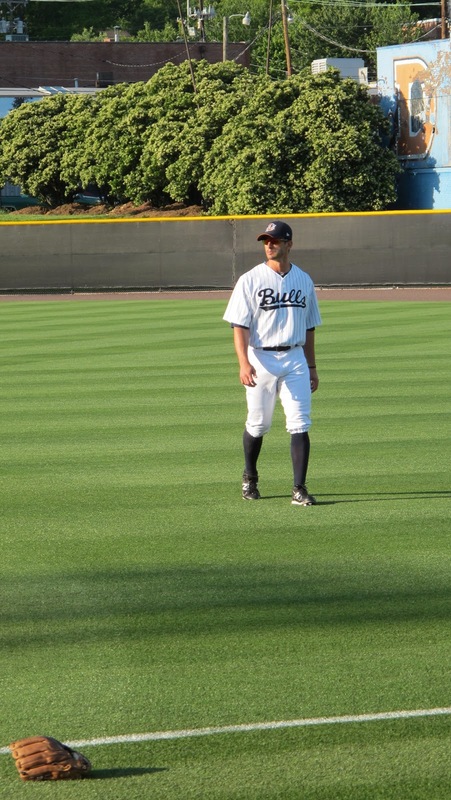 Thanks to Orin Day we learn that former Bull Justin Ruggiano was traded to the Marlins and immediately called up to the big league club. Ruggiano had played at the Astros AAA club in Oklahoma City all year and was doing pretty well. That led me to notice that another former Bull is in the Marlins system. Rob Delaney is pitching in relief for the New Orleans Zephyrs, the Marlin’s AAA team and having a pretty good year. 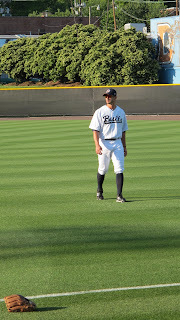 So then I checked on Russ Canzler, who is with the Columbus Clippers, Cleveland’s AAA team. Decent year so far and he’s on Cleveland’s 40-man, but hasn’t been called up yet. Then off to Canada to see how Jon Weber’s doing. As was noted in the comments recently, he’s on a two-game suspension. Not hard to figure out why. He was the fourth man to be hit by pitch in a recent game and an “altercation” occured. He’ll miss the Winnipeg Goldeyes opener, but he’s hitting .415 (OPS - .967) over his first nine games. I'd love to say that I'm happy for both Matsui and the Rays ... but I'm not that good a person ... just gnashing my teeth. Glad I wasn't able to listen last night. Reads like a very, very frustrating evening for all. Brignac starts hitting and can't get home. Plenty of frustration to go around with the big club getting swept by the White Sox. Your story is a good example of how a fan (me) can so easily misinterpret something he sees from the stands. I did take Ruggiano's appearance last year as an effort to separate himself from the Bulls as a team and thought less of him for it. Now you tell me how accommodating he was to you. A cautionary tale, for me at least. I certainly wish him well with the Marlins. As I've noted several times over the years, I don't think he was treated well by the Rays.